Happy Tuesday Scrappers! It’s Kim here, bringing you the goodies for today (and yesterday). The Bella Gypsy Girls outdid themselves again this week! 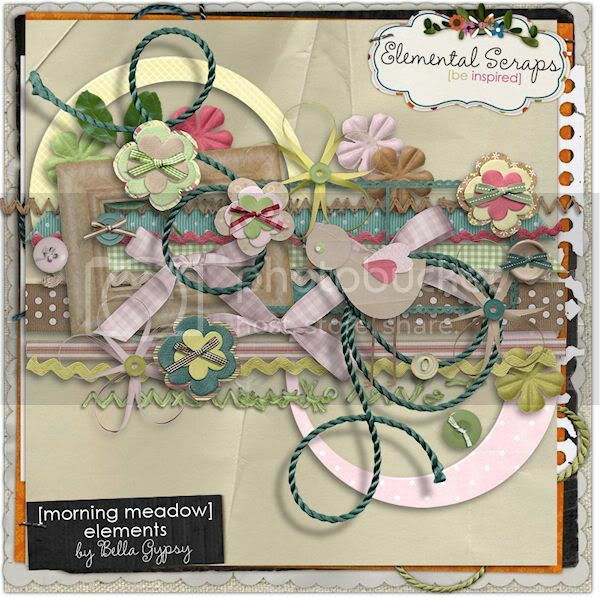 I know you saw some peeks for what hit the stores Monday at Elemental Scraps and now it’s time to reveal them! 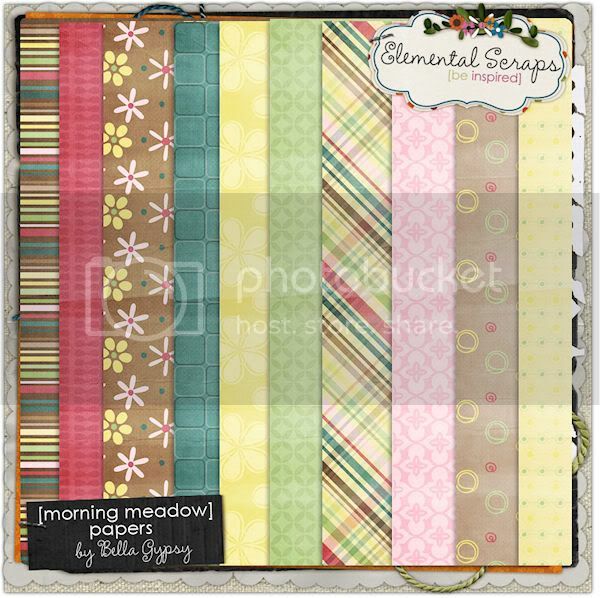 Morning Meadow is…..GORGEOUS and so girly BUT I am the mommy of 3 boys and this kit is versatile enough to scrap boy pictures too! I did just that and I know I will be reaching for this kit again and again. 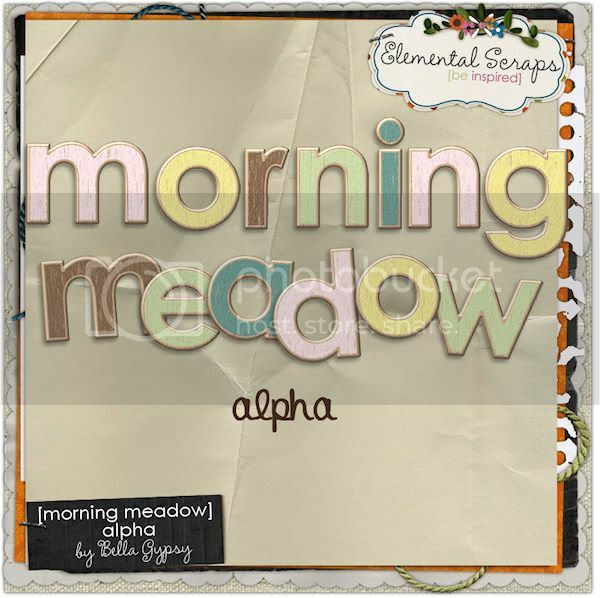 You can pick up Morning Meadow in separate packs and each pack is $1.00 right now at Elemental Scraps and Gotta Pixel. 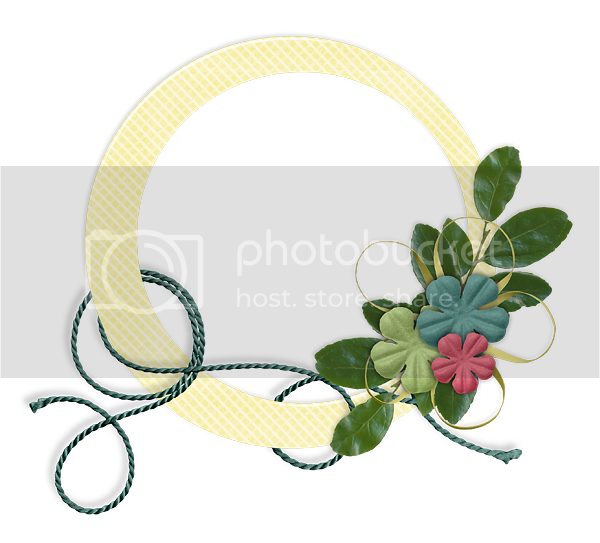 Each image is linked to take you to the Elemental Scraps store! Today is the last day for GGI at Gotta Pixel. If you haven’t had a chance to pick up the pieces to Grown-Up Boy do so now! Here’s another look at the alpha pack, element pack and paper pack together! 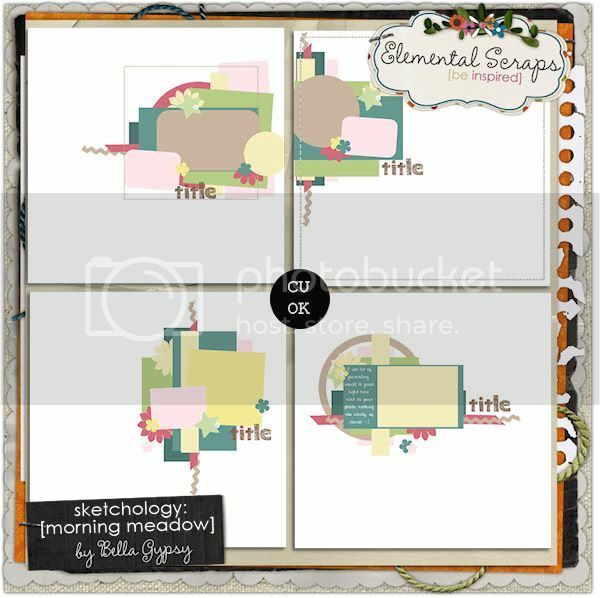 I will leave you today with a little freebie cluster frame that coordinates with Morning Meadow. Just click on the preview for you link! Enjoy! Be looking for me next week on Monday!